The Jumpinjax is one of our unique direct mailer ideas that really packs a punch and cannot be ignored. The customised printed mailing wrap gets it to your target audience; this is a direct mailer that will not end up in the trash can or recycle bin. 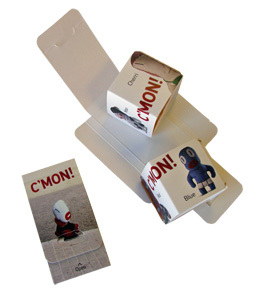 Once opened four small pop up cubes bounce out with surprise and your message is read in a most unusual and unforgettable way. Unique direct mail ideas that capture attention and create a memorable experience really are the best. The Jumpinjax has played a major role in numerous successful marketing campaigns and is also a popular choice for corporate event invitations and event marketing. 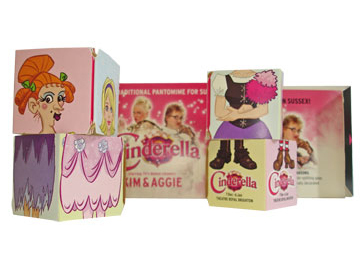 Since you can choose to have one or two message cards and you can choose to have less than the four cubes in if you so wish you can create your very own bespoke unique direct mailer. An example was a company promoting their award of three star status, they had three cubes leaping free to promote this fact. 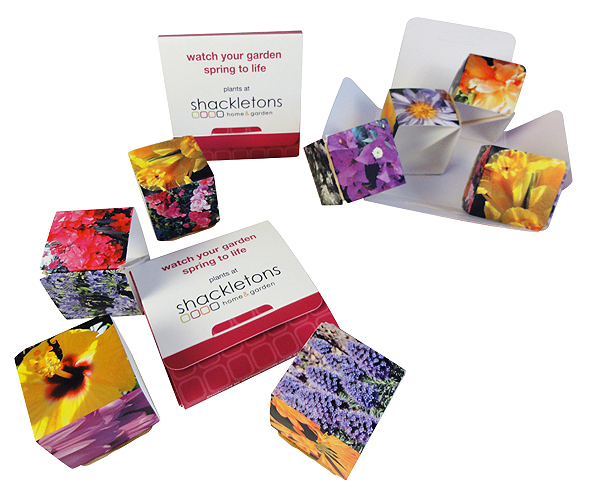 The Jumpinjax has four small cubes along with the Springbox which is another direct mailer with extra oomph; it is a more compact, pocket-sized direct mailer that is absolutely full of surprises. Just flick open up the clasp on the Springbox cover and out jump the 4 pop-up cubes! The baby product of these unique direct mailer ideas is the Two-Pop Box which has two pop-up cubes that are released as you open it up. All three of these designs offer solutions for exhibitions and trade show give-aways too!